Yarr! It’s Friday and that means it’s time for another review. Today I want to talk about These Rebel Waves, by Sara Raasch. We were promised pirates, adventure and botanical magic. Does the book deliver? Or does it capsize? In These Rebel Waves, we follow three main characters. Adeluna (Lu) helped the island of Grace Loray overthrow its oppressor and is now trying to adjust to life in the new regime, in which her parents have an important role. When a delegate vanishes during peace talks, she suspects there is something dangerous going on. Devereux (Vex) is a stream raider who sells magical plants on the black market. When the raiders are accused of the delegate’s abduction, he agrees to help Lu find out the truth. And finally there’s Benat (Ben), the crown prince of rival nation Argrid. The botanical magic of Grace Loray is considered heresy by the Church, but Ben is fascinated by it. The story is split up between Grace Loray and Argrid. 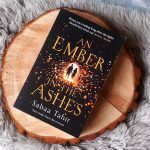 Lu and Vex meet each other early on in the book and decide to work together, while Ben has a separate storyline and won’t meet the others until the last few chapters. I liked the characters, especially Vex. Although I did notice he started out as a very witty and sarcastic Jack Sparrow-esque pirate, but this side of him soon took a backseat and he became a bit more dull. Lu and Ben weren’t exactly boring, but I didn’t really care about them either. There also wasn’t a lot of pirating going on, so if you’re expecting a typical pirate book about life on the high seas, this isn’t that book. Lu and Vex travel across Grace Loray to look for answers about the missing delegate. I enjoyed their adventures and I liked Vex’s crew. 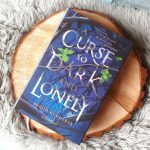 On the other side of the world, Ben is working to find a cure for the Shaking Sickness and trying to figure out why his father has seemingly reversed his stance on magic. This was a less adventurous arc, but I still liked exploring his conflicting emotions. That being said, I loved the diversity in this book! There were people of colour and a few non-heterosexual characters as well. Now I know some people were expecting a book about gay pirates. I’m not sure how this happened, but I’m guessing it’s a misunderstanding. Because yes, one of Vex’s crewmembers is gay, but she is a minor character. And yes, there are other non-heterosexual characters, but none of them is a pirate. Vex, who is *the* pirate, is straight. 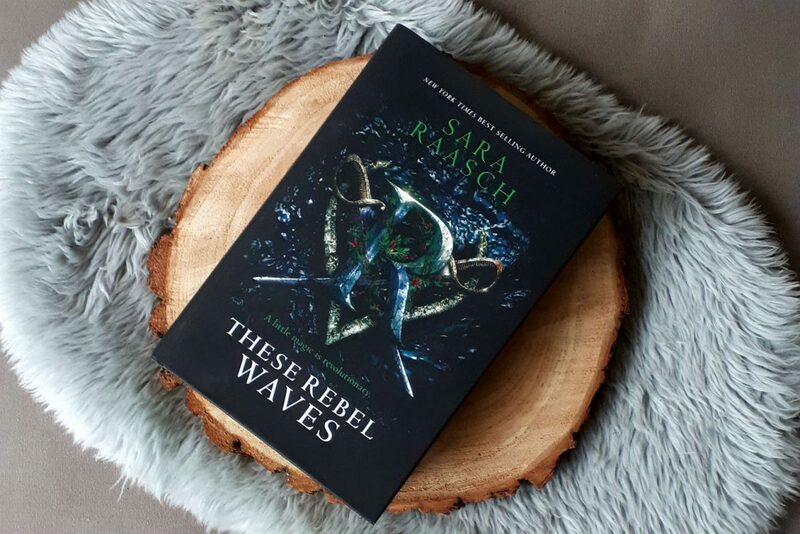 These Rebel Waves is a tale filled with adventure, action sequences and discovering treachery, but it didn’t make me feel much. And that’s a shame, because its themes of colonisation, oppression, political scheming and religion sound so appealing. Unfortunately, their execution is a bit average. Up until the 75% mark, that is. That’s when the story (finally) really gets going. The pace picks up, the pieces of the puzzle start coming together, the separate storylines collide. 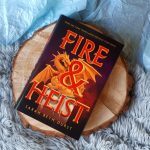 A thrilling new fantasy series—full of deadly magic, double crosses, and a dangerous quest in a new world—from Sara Raasch, the New York Times bestselling author of the Snow Like Ashes series. Adeluna is a soldier. Five years ago, she helped the magic-rich island of Grace Loray overthrow its oppressor, Agrid, a country ruled by religion. But adjusting to postwar life has not been easy. 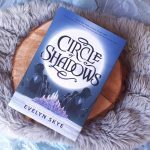 When an Argridian delegate vanishes during peace talks with Grace Loray’s new Council, Argrid demands brutal justice—but Lu suspects something dangerous is at work. Devereux is a pirate. As one of the stream raiders who run rampant on Grace Loray, he scavenges the island’s magic plants and sells them on the black market. But after Argrid accuses raiders of the diplomat’s abduction, Vex becomes a target. An expert navigator, he agrees to help Lu find the Argridian—but the truth they uncover could be deadlier than any war. Benat is a heretic. 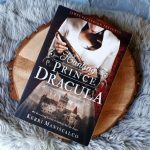 The crown prince of Argrid, he harbors a secret obsession with Grace Loray’s forbidden magic. 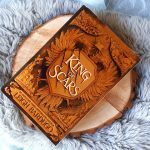 When Ben’s father, the king, gives him the shocking task of reversing Argrid’s fear of magic, Ben has to decide if one prince can change a devout country—or if he’s building his own pyre. As conspiracies arise, Lu, Vex, and Ben will have to decide who they really are . . . and what they are willing to become for peace.